This decorative wall recliner makes a charming accent to living rooms and family rooms. Designed by an American made furniture manufacturer, this recliner features a charming style with the traditional features of tight rolled arms and a tufted seat back. A defined headrest adds comfort to the piece while welt cord trim creates a fine tailored accent. Complete with a wall recliner frame construction, this chair saves walking space by allowing it to be placed only inches from the wall. This reclining chair is available in a wall hugger recliner and rocker recliner option and may also be available with power and swivel options. The Recliners Nantucket Rocker Recliner by Southern Motion at Great American Home Store in the Memphis, TN, Southaven, MS area. Product availability may vary. Contact us for the most current availability on this product. The Recliners collection is a great option if you are looking for Casual furniture in the Memphis, TN, Southaven, MS area. 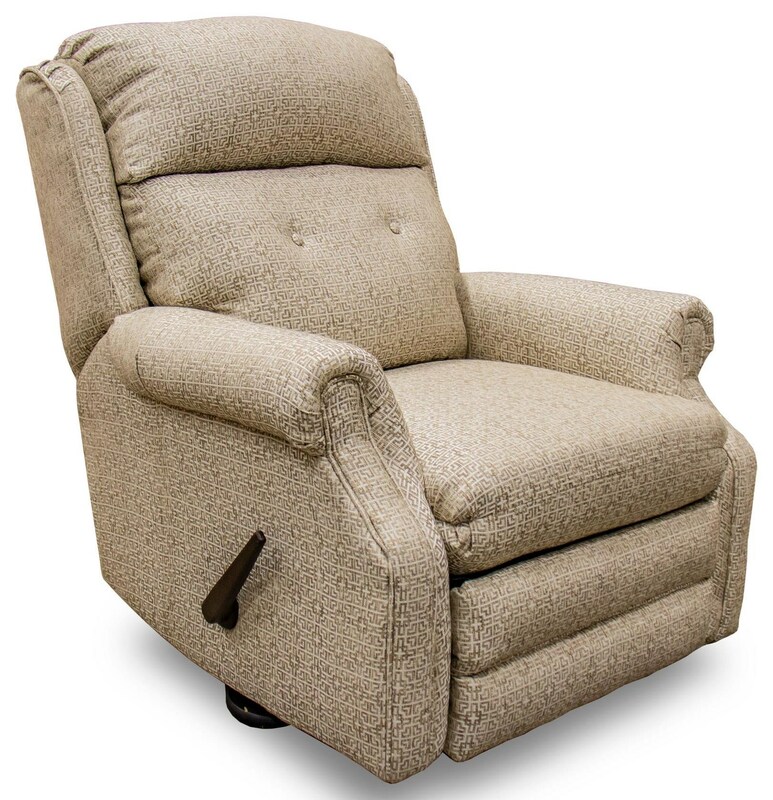 Browse other items in the Recliners collection from Great American Home Store in the Memphis, TN, Southaven, MS area.